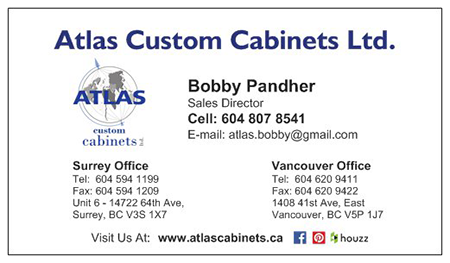 With over 15 years of experience in the cabinetry industry, Atlas Custom Cabinets strives to provide our clients with the cabinetry to match their lifestyle. We locally design, manufacture and install all types of custom woodwork. 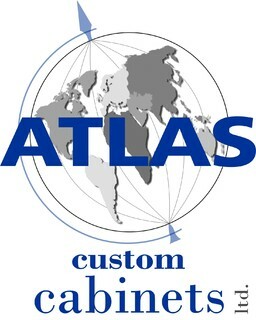 At Atlas, we offer personalized design services for newly constructed, renovated, or remodelled homes, offices or libraries. Each job is individually prepared and custom installed by the best craftsmen in the industry. This is the dedicated approach that gives every job its special allure and added market appeal. The attraction goes beyond the beautiful look that is created; Atlas can help you determine the best look for your home. We have a vast selection of custom designs to suit your needs, wants, and fit your budget. We pride ourselves in achieving customer satisfaction. With our guarantee of satisfaction you will not be disappointed. Are you ready to create your dream living space? Contact us for a complimentary consultation!